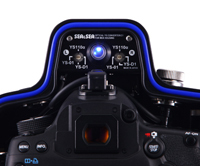 UNDERWATER HOUSING FOR THE CANON EOS 5D MKIII / EOS 5Ds / EOS 5DsR. Housing's with serial numbers between 143100001 and 143100125 require modification at a SEA&SEA official service centre to be able to accomodate CANON EOS 5Ds and 5DsR cameras. Housings with serial numbers outside this range can accommodate CANON EOS 5Ds or 5DsR cameras as they are. 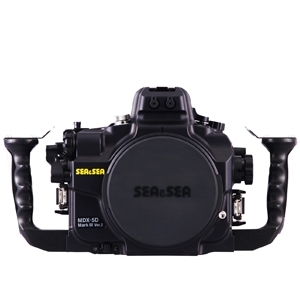 If you wish to have the housing modified to accommodate a CANON EOS 5Ds or 5DsR camera, please contact an official SEA&SEA dealer near you. Compatible with new Optical YS Converters for MDX housing which converts the camera’s TTL signal to a light signal. Both TTL and manual strobe photography is possible using a Fiber-Optic Cable II. Optical YS Converter/C2 (#50142) is compatible when using 5Ds or 5DsR cameras. 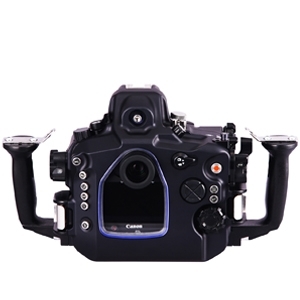 Optical YS Converter/C1 (#50136) is compatible when using 5D MkIII cameras. By attaching the VF180 (#46112) or the VF45 prism viewfinders (#46111) to the housing, the magnification increases by 1.2x and entire field of view can be seen at the same time. Recommended for users committed to strict composition and focusing. 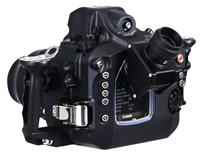 The main dial, the quick control dial and diopter adjustment dial have a damper (spring) to provide secure operation. (Controls on the cameras will not slip because of the damper). 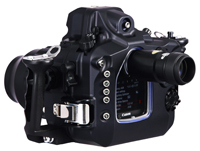 A depth rating of 100m makes the housing ideal for tech diving.